Jonathan Palmer took his fifth victory of 1987 as Tyrrell continued to dominate the championship… for naturally aspirated cars, that is. 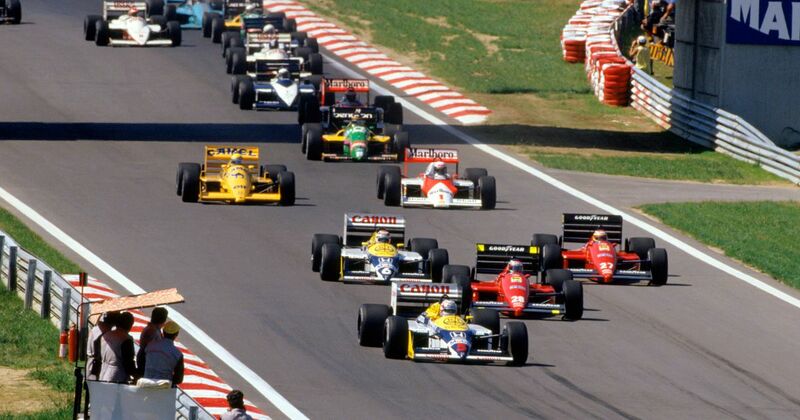 A one-off for the 1987 season, F1 had two ‘trophies’ (the Jim Clark Trophy for drivers, the Colin Chapman Trophy for teams) to encourage teams to make the early switch to naturally aspirated power ahead of the turbos being banned for 1989. 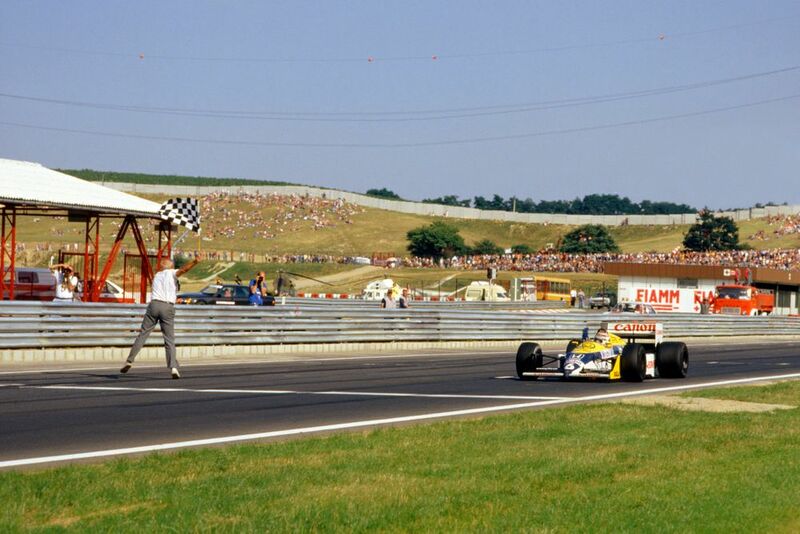 In Hungary, Palmer finished seventh overall to win the Jim Clark Trophy, with teammate Philippe Streiff ninth overall and second in class for Tyrrell’s fourth 1-2 of the year. Ivan Capelli’s March was third, with the AGS of Pascal Fabre fourth. As for the actual race? Well, Nigel Mansell led the first 70 laps from pole, but five laps from the end a wheel worked itself loose, putting him out. That handed victory to teammate Nelson Piquet, who was joined on the podium by Ayrton Senna and Alain Prost. In 2007, Malaysian driver Fairuz Fauzy tested an F1 car for Spyker at the Santa Pod drag strip in the UK. Thrilling. French driver Patrick Depailler was born on this day in 1944. He spent much of his career racing for Tyrrell in the 1970s and took a number of podiums in the six-wheeled P34. In fact, he visited the podium 15 times before finally winning his first race, at Monaco in 1978. He joined Ligier for 1979, winning another race and potentially being a championship challenger before breaking his legs in a hang-gliding accident. In 1980 he joined Alfa Romeo and helped to develop the car from an uncompetitive mess to a potential front-runner. However, Depailler never got to see the full result of his efforts as he was tragically killed in a testing accident at Hockenheim.